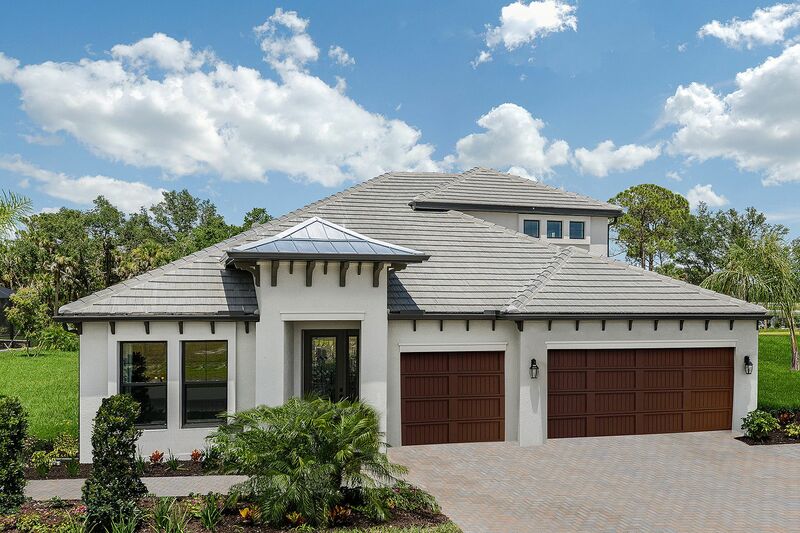 Homes in Oasis are located near the intersection of River Road and S. Tamiami Trail in West Villages—the 5th fastest selling master-planned community in the nation! West Villages boasts 10,000 acres including parks and trails, great shops, exciting entertainment, acclaimed healthcare centers and will be home to the Atlanta Braves' new spring training facility. Oasis is walking distance to the Myakka River, ten miles from Manasota Key Beaches, downtown Venice, and directly across from the State College of Florida, Oasis is perfectly situated to enjoy all of the area's key attractions, including Myakka Pines Golf Club and Plantation Golf and Country Club, Sharky’s On The Pier, and the best place to call home. Homes in Oasis nest on 60- and 70-ft wide homesites amongst a nature reserve space, and will enjoy groomed walking paths, tranquil ponds, and a community pool. The homes will range from 2,100 to more than 4,000 square footage, and feature tile roofs, three-car garages, outdoor living, and open floorplans for easy living. They come with the latest features, and all have a long list of included appointments and options available.